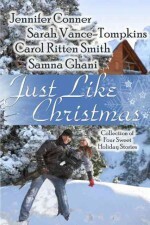 Carol Ritten Smith loves a good romance, whether it’s her own happily-ever-after with her husband of over forty years, a book she is reading or the next one she is writing. Born, raised and living in central Alberta, Canada, Carol often places her stories in her beautiful province. Mother of two, she loves to spend time with her family, write romances and occasionally, very occasionally, help her husband on their buffalo ranch. 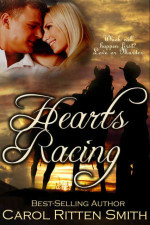 Who knows, someday she may write about a buffalo rancher and his gal. 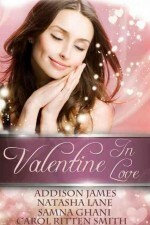 Valentine In Love, four short, sweet holiday stories so you will fall in love. Several months after the death of her husband, Joanna Hollister and her son return to her hometown to restart their lives. But with Christmas drawing near, her immediate goal is to get through the holiday season with as little heartache as possible. 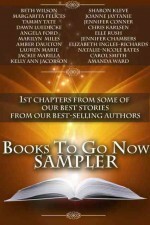 First chapters from some of our best-selling stories from our best-selling authors. Together for the first time. Romance, sweets, historicals, paranormal, women’s fiction and more. Something for everyone. Which will happen first, love or murder?